FT-817 5 Watts, 4.2Ah LiFePO2, 60m/40m/20m linked dipole, 7m sotapole and a palm paddle, VX-170 plus RD. 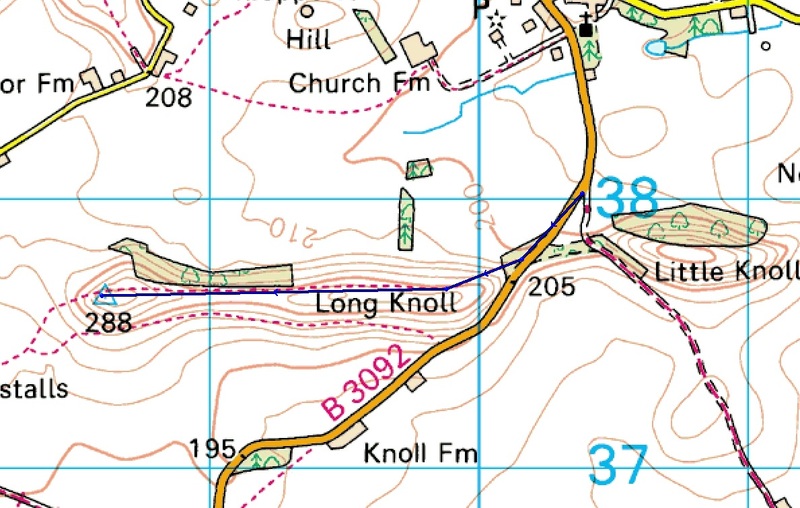 Today was going to be a leisurely 2 summit activation day starting with Long Knoll SC-007. 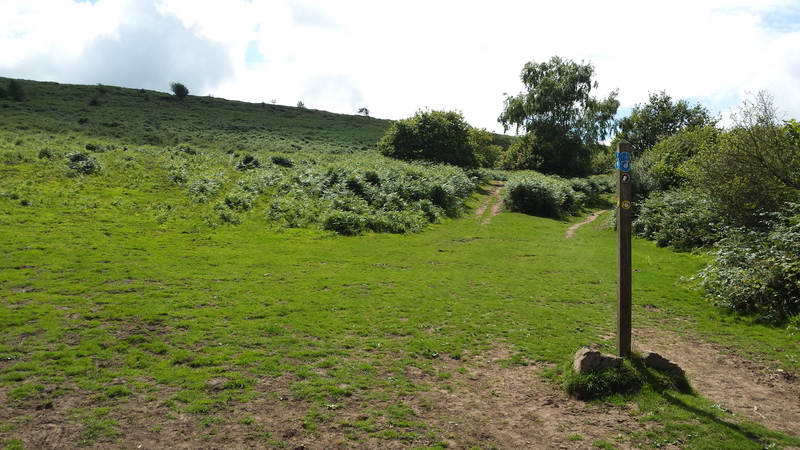 The satnav took me straight to the small grassy layby at the start of the path. However, there was a couple of BT Openreach vans parked there (they were doing some underground cable work). So driving a further 200 metres north there is a good off road parking area at the start of the private road to Rodmead Farm ST 86396 38005. This place as a good hard standing and doesn’t block off any access and it only adds a couple of minutes to the walk. 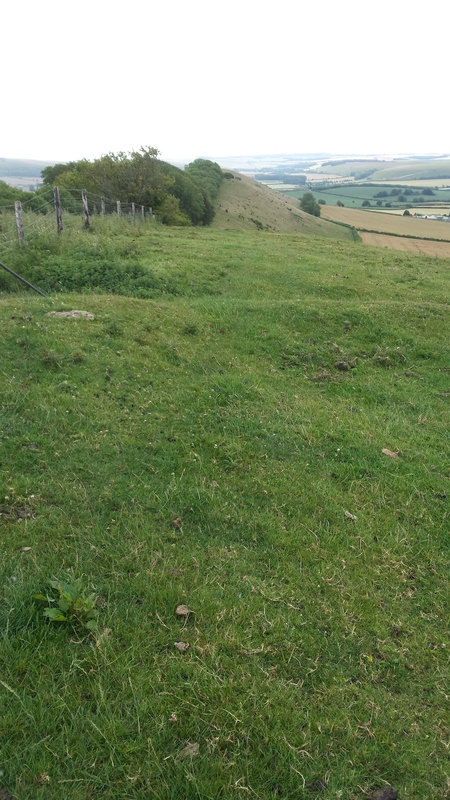 As is well documented, the initial pull up onto the ridge is steep but relatively short. Once you are onto the ridge it is plan sailing all the way to the summit. On a clear day, as it was today, the views are excellent. The only thing of note on the way up was the small herd of cattle with their calves grazing by the footpath – more on them later! 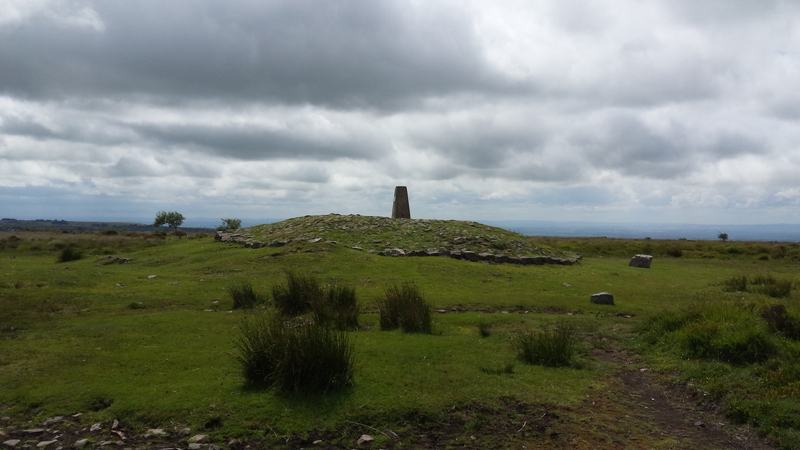 Distance walked 1.2 miles, ascent 370 feet time taken 28 minutes. After self spotting on 40M SSB it seemed like an eternity before the first station was in the log. The band conditions were appalling but eventually I was called by DL/PA3FYG/P from DM/BW-235, a good way to start the day off. I struggled for a while with SSB before switching to CW and letting the RBN spot me. This proved a bit more fruitful with several stations in quick succession. Most of the 13 QSO’s were with European stations, the only UK stations was G0EVV, G0TDM & M0IML. A tune around the band and a return to SSB for a few more calls added nothing to the tally so it was off back to the car. However, by the time I had reached the location of the afore mentioned cattle, they had moved to graze on the path itself. Not a problem as I approached they obligingly moved to one side except for 1 who had its back to me. I quick whistle and the beast turned to stare at me with cold menacing eyes. The beast looked different to the others, an assumption that was confirmed by looking lower than its eyes. I was in a stand-off with the bull in charge of the small herd!!! A hasty retreat was made to a suitable place to cross the fence and the journey continued back to the car without further incident. 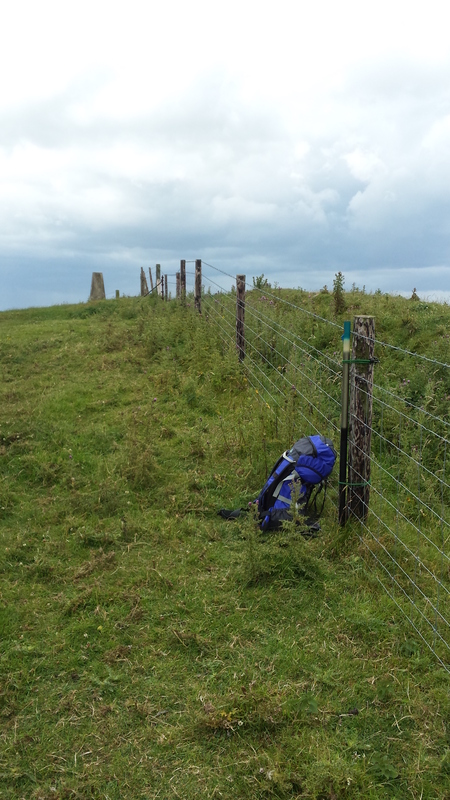 Getting ready to set the station up close to the Trig Point. For me this was a drive back down memory lane. In my mid teens and early 20’s I spent virtually every weekend and most Wednesday evenings on the Mendips or should I say under the Mendips. 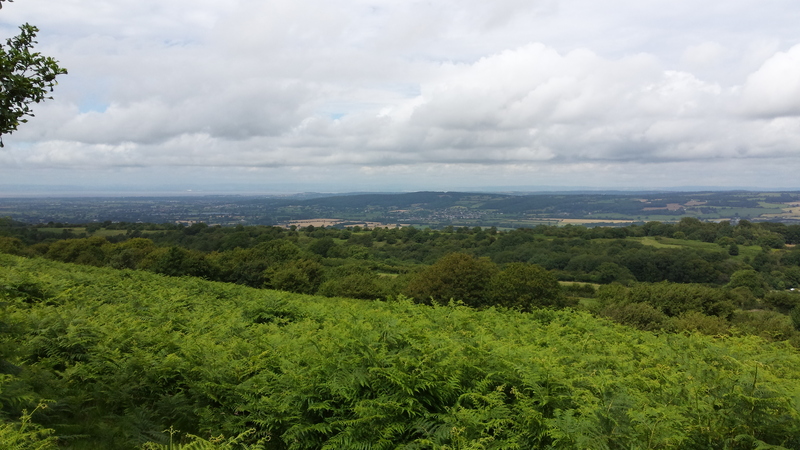 I was very heavily into caving and potholing and the Mendips were my local patch (originally from Yeovil), I was a member of Yeovil Caving Club and the Mendip Cave Rescue Organisation. 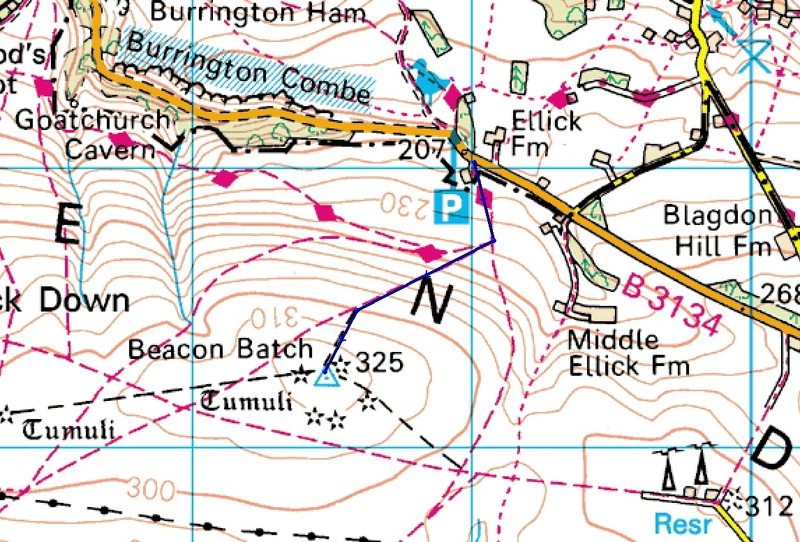 It all came back to as I was putting on my boots at the top end of Burrington Combe and the recollection that 40 years earlier I would have been about 200 metres further down the Combe getting into my boiler suit and helmet. Next to where I parked the car. 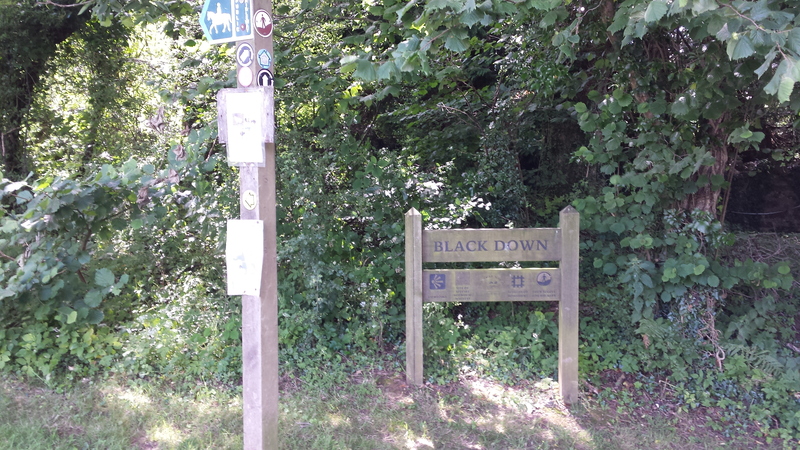 I had parked up adjacent to the sign for Black Down (Beacon Batch is part of Black Down) ST 48987 58030 however, if this is occupied there is a large parking area 200 metres further down the Combe on the right hand side. The path is clearly sign posted up past the house on the right to a gate. Once through the gate there are 3 possible routes. The direct route to the summit is via the broader path in the 2 o’clock. The path is easy going and well defined all the way to the top. Distance 0.68 miles, ascent 376 feet, time taken 24 minutes. For a complete change I thought I would open up on 145.500 FM and made contact with G0VFK in Ilminster. There being no further takers at that time I found a handy tree with a short stump to fix the pole to and set up for an HF activation. Having tuned around a completely dead SSB section of 40M I set up for CW on 7.025Mhz. Once the RBN spotted me on Sotawatch I had 5 QSO’s in quick order then silence. Following a short phone call with my XYL I changed up to 40M SSB and self spotted on 7.120 Mhz. Three QSO’s followed including a S2S with Terry G0VWP/P on Kirk Fell G/LD-014. Time was now pushing on and there being no further takers I dismantled the HF station and made a quick call on 145.500. This led to a QSO and spot from Martin G0ENZ which resulted in 2 more contacts in the log. 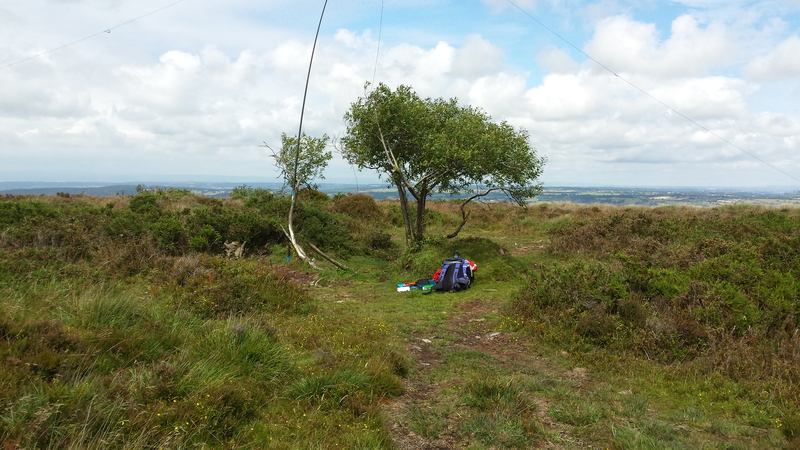 All in all a pleasant hours had been spent on the summit for 12 QSO’s.